The United States has threatened to impose sanctions if Turkey seals its S-400 deal with Russia. 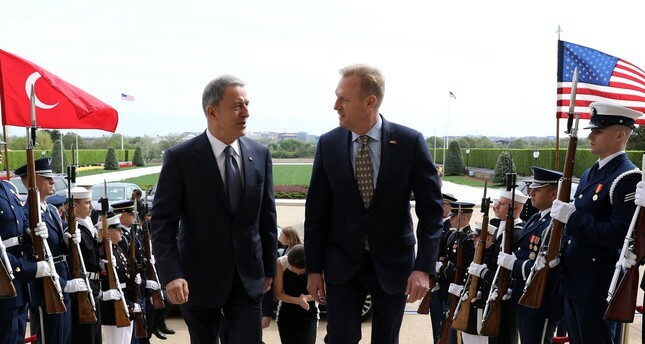 Ankara has repeatedly said the purchase was a "done deal" and it should not trigger sanctions as Turkey is not an adversary of Washington and remains committed to the NATO alliance. "If it comes to that, that is the sanctions proposed to be implemented by the Congress, of course we will expect President Trump to use his power for a waiver on that issue," Turkish Presidential Spokesperson Ibrahim Kalın told reporters in a briefing. Asked if Trump has explicitly signaled he would issue a waiver, Kalın said he did not. "I cannot say that he did. This is a message we are conveying." Asked what Turkey would do if Trump abstained from providing a waiver, Kalın said Turkey would have to wait and see the scope of the sanctions, but hopes it does not come to that. "Threats and sanctions would be very counterproductive, backfire and will not produce any positive results," he said.